It can't be ignored so why try? Today is Halloween whether we like it or not. 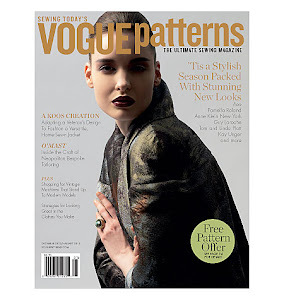 We're a Hit + Vintage Pattern-palooza! 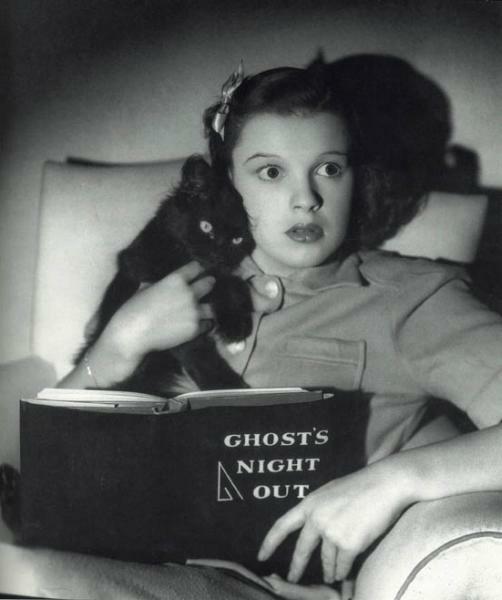 How thrilling these last few days have been, readers. Our show, Noah's Very Unusual Insight, was a hit (despite fierce Februrary weather in October), and we're definitely going to do it again -- perhaps in the same space, perhaps on tour and coming to a city near you! Readers, you are to be forgiven if you assume that today's blog post is about my three-plus yards of faux snakeskin, which has been sitting in my fabric stash for nearly two years now. I am still waiting for the perfect project for it and I don't think it will be Prachee's dress. 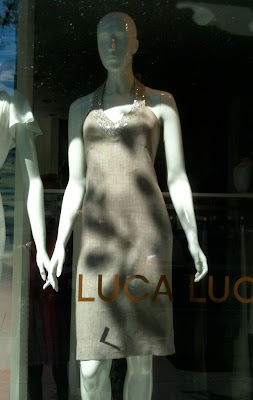 Find me this dress pattern, please. Friends, as you probably already know, it's Diwali, the Hindu festival of lights. Or maybe it just was -- or is about to be. I'm very holiday-resistant, and with the exception of MPB Birthday, on January 23rd (which you should mark in your calendars if you haven't already), tend to get them all confused. Friends, I am very excited about my next project and I hope you will be too. 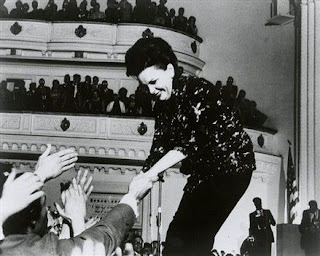 I'll be making three separate garments, all from 1944, to create a lovely WWII-era ensemble for demure Miss Cathy Lane. The genesis: I was perusing Etsy last week, and I stumbled upon this cute jumper and blouse pattern (above right) for only $3. DING DING DING!!! El Cheapo just had to have it. Friends, I recognize that this week, MPB has been a little -- how shall I put this? -- sewing-machine-heavy. Please believe that I have new projects in the pipeline and I will return to sewing soon. So here I am, all excited about my new Kenmore 158.1040 and someone tries to rain on my parade. The audacity! A certain Curious Kiwi leaves a comment yesterday telling me that my newly-acquired, vintage, 3/4-size zigzagger is just like her mother's old Globe Cub 3, a machine that -- she doesn't say it but I can read between the lines -- is even more adorable than my 158.1040. Wait, have I used that title before? 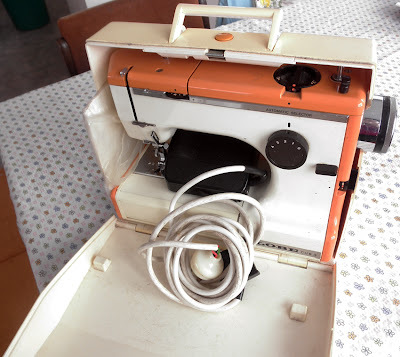 Readers, there are two kinds of sewing machine purchases: the kind where the thing you're most excited about is the price, and the kind where the thing you're most excited about is the machine. In my experience, one is rarely equally excited about both. Remember how the reason I bought that Viking 6020 (see above), which arrived damaged, was because my self-lubricating Viking 3240 had completely seized up and wasn't worth putting a dime into, since I'd bought it cheap on eBay two years ago and it was very beat up to start with? 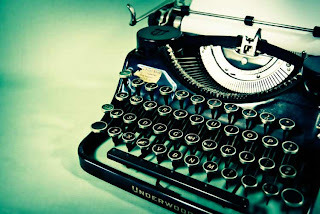 MBP CONTEST: Come write my blog! Today, friends, for the first time ever, I'm handing over the proverbial car keys, or rather, the typewriter keys -- to you. 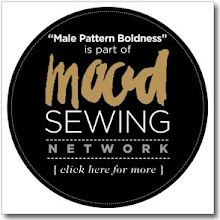 Yes, today, YOU get to write a post here at Male Pattern Boldness! Exciting, no? 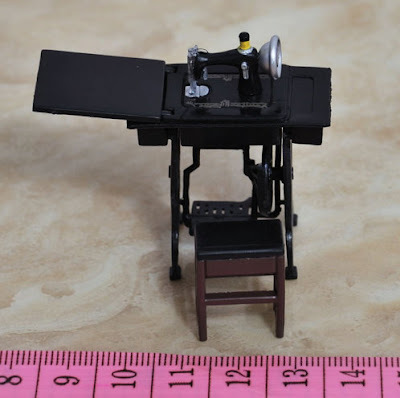 Toy Sewing Machines for Children -- Yea or Nay? Friends, I have no children of my own, nor do I have anyone else's. 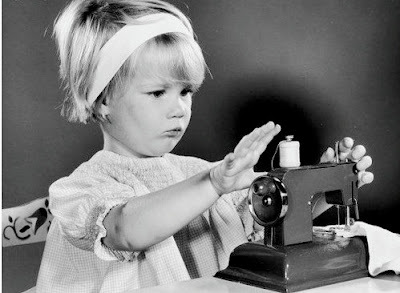 I do wonder, however, what it might be like to teach a small child to sew, how young is too young and, related to this, what kind of sewing machine to start a child on. Labels: sewing and culture, YEA or NAY? The Lure of the "Little"
Friends, why are we humans obsessed with tiny things? Doll houses, teacup chihuahuas, mini Ipods -- the list goes on and on. It's not like most of us are living in teensy weensy dorm rooms and couldn't squeeze a full-size chihuahua into it. Readers, to everything there is a season, blah, blah, blah. And this season is turning out to be a distracting one. The cabaret show Michael wrote opens at the end of the month (and closes two days later, for now) and it's been a long time since I've had to learn lines. I may need an off-stage prompter. MPB Men's Boxers Sew-Along 6 -- So Long, Sew-Along! Readers, there's an old show business adage: Leave them wanting more. 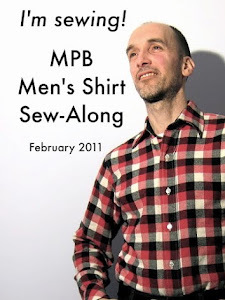 In that spirit, I have decided that today we will formally end the MPB Men's Boxers Sew-Along. Peter's Saturday "Ditch 'n B*tch"
Friends, today I'd like to take a break from sewing men's boxer shorts and return to something we all can relate to: The Daily Ditch! Please don't think I wasn't ditching this week during the sew-along, because I was. And would you believe there is still more ditching to come? Decluttering my apartment is very much like digging a subway in Rome: you unearth ancient Roman ruins, only to find Etruscan ruins underneath, and then you're digging up dinosaur bones and pieces of Fred Flintstone's old car. MPB Men's Boxers Sew-Along 5 -- Crossing the Finish Line! Friends, we've almost completed our first pair of boxers, do you believe it?! I realized yesterday that we never did sew up the crotch seam together. This is a very important seam to complete (for obvious reasons) and it should be done before any bias trim is added. The seam extends from the bottom of one leg to the other. I used a flat-felled seam (see Post 3 for an explanation of how to make one). MPB Men's Boxers Sew-Along 4 - The Joy of Bias Tape! One of the things I love about leading Sew-Alongs, friends, is that I learn new techniques along with you. I've cut my own bias tape before, but I don't think I've ever used it to decorate the visible edge of a garment. Today, I'm going to show you how to do it! MPB Men's Boxers Sew-Along 3 -- Let's Start Sewing! Good morning, Sew-Alongers and others eager to learn how to make boxers. Today we are going to start sewing! Yesterday I neglected to mention thread, assuming that everybody already had the thread they need. As you can see above, I was choosing from among an assortment of potential thread colors, finally choosing...white. Sigh. 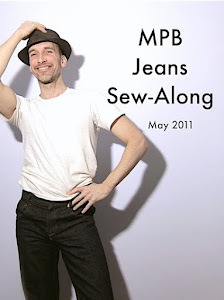 MPB Men's Boxers Sew-Along 2 -- Pattern Prep and Fabric Cutting! Welcome, Sew-Alongers and lurkers! As you can see above, boxers patterns generally aren't complicated -- often just two pieces -- but there's definitely more to them than meets the eye. Today we're ready to prepare our pattern and start cutting our fabric! MPB Men's Boxers Sew-Along 1 -- Prep Time! Good morning, all, and welcome to the MPB Men's Boxers Sew-Along! I can't wait to get started making myself some new boxer shorts and I hope you feel the same. NOTE: I'll be working a pace that suits me -- please work at a pace that suits you; there's no rush!